I'm loving occupational names at the moment, and I know I'm not the only one. Just look at the top 100 boys names in the US, Australia or the UK and you'll find options such as Mason, Carter, Hunter, Cooper, Archer and Dexter. Overwhelmingly, most of the occupational names that have been adopted for use as given names tend to be hands-on trades, and ones that are quite rare today. On boys they sound masculine but approachable. On the occasions they are bestowed upon girls they are ironic and preppy-cute. One underused option if you like this style of name is Ranger. French name Ranger (pronounced RAYN-jer) is yet to chart at all in the US for girls. For boys it had been slowly creeping up in use, but it experienced a bit of a spike last year - from #3330 in 2011 to #2780 in 2012. The great thing about these references is that they are almost all positive - there are a lot of heroes and "good guys" in the above list! It's a great name if you want a hero name without actually naming your child Hero. 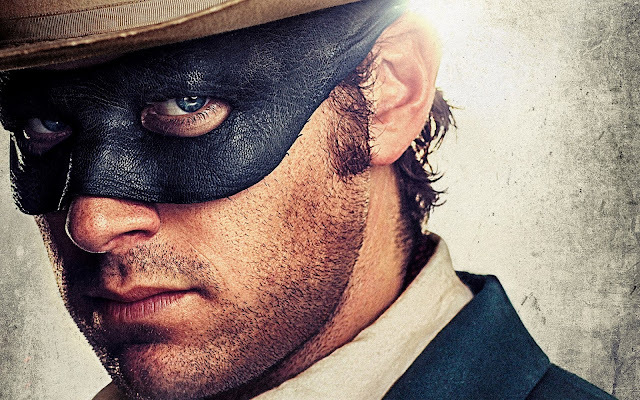 This cool option is likely to spike in use even more after the release of the big screen version of 'The Lone Ranger' later this year. If you love Ranger and want to be ahead of the trend, now is the time to use it. I'm afraid I can only think of this as a dog name - it's a popular name for hunting dogs, and I've read several books which feature dogs named Ranger. George HW Bush's dog was named Ranger too. Heather Armstrong of dooce.com has a brother named Ranger.